LANDING a fragrance campaign is the model equivalent of winning a gold medal says Summer Fisher, founder of Busy Models. 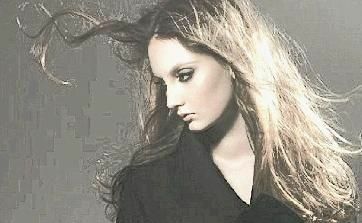 If so then Sunshine Coast model Codie Young can count herself as a gold medal model. Sofia Coppola, Dakota Fanning, Andrej Pejic and now Young can add her name to the esteemed list as the latest model to land a coveted Marc Jacobs fragrance campaign. 19-year-old Young is the first face of Jacob's Dot which the designer described to WWD as having hints of berries, dragon fruit, honeysuckle, jasmine, coconut water vanilla and orange blossom. The campaign was shot by fashion photographer Juergen Teller. Fisher said she couldn't be prouder of how well Young was doing. "She's just had her best season in New York, walking at 18 shows at New York Fashion week which is her highest yet," she said. "Booking a fragrance is like winning a gold medal for modelling, it's the end goal for most girls. "To have done that now is a good sign for her career and her future." Fisher said with Young's porcelain skin and striking features she would love to see her land a make-up campaign next. "Maybe something like mascara. She just has perfect skin."